In 1991, a group of concerned business leaders led by Gov. Neil Goldschmidt came together to address the troublesome reality that Oregon’s children were routinely reading below grade level. SMART’s unique model was developed, blending early childhood reading support, adult mentorship and community engagement to positively impact literacy outcomes. 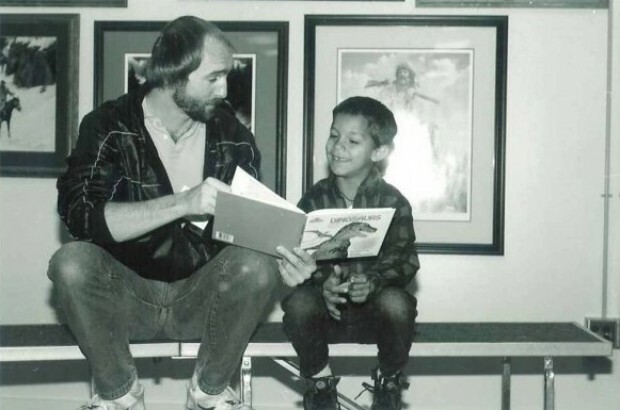 The program launched in 1992 in eight schools in two cities, serving 585 children. Over the years, SMART has steadily grown to become the state’s largest volunteer-driven nonprofit organization devoted to children’s literacy. Since SMART’s inception, we have served more than 211,000 children and given away over 2.7 million books. More than 134,000 volunteers have logged over 4.2 million hours reading with SMART children across the state. In 2016-17, SMART celebrated its 25th anniversary with the publication of Oregon Reads Aloud, a collection of 25 read-aloud stories written and illustrated by Oregon authors and illustrators. Click here to learn more about Oregon Reads Aloud.